This outstanding novel, first published in the USA in 2008, is written with the sort of wit, confidence and passion still found in American novelists at their best, but so rarely elsewhere. Like a number of other contemporary stories from that country, it is set in a co-educational private school for rich teenagers. But rather than taking up issues of social class in the way that Meg Wolitzer did recently in her excellent The Interestings, Lockhart views the main action through an intriguingly original feminist perspective. 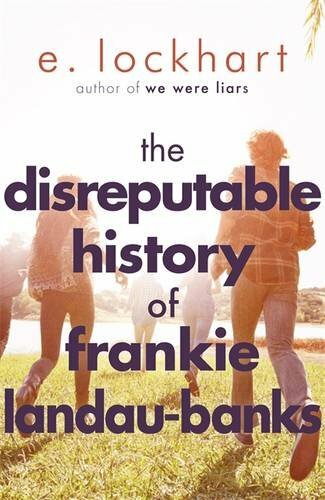 Bright, pretty and popular with both sexes, her heroine, 15-year-old Frankie, becomes increasingly conscious of the way that boy pupils are already preparing themselves for a future business and social life dominated by all-male bonding. This is represented most forcibly by the existence of the prestigious Loyal Order of the Basset Hounds, an all-male secret society as old as the school itself. Knowing that she is more intelligent and also braver than the males around her, Frankie sets off on a one-woman campaign first to infiltrate the Order and then to make it dance to her tune. Things don’t quite work out the way she wants, but readers who stick with this wonderfully feisty girl will be cheering her on even if her boyfriend Matthew sees her campaign very differently when he realises what has been happening. Although she and Matthew are described as occasionally ‘making out’, this is almost incidental to their relationship. Lockhart is so much more interested in gender issues than in adolescent sexuality itself. Nor is it clear when exactly this novel is set in time, with social media playing hardly any part. Teachers at this school are virtually invisible, making no impact either on their pupils or on readers. But in a novel as intelligent as this one, with lots of snappy dialogue throughout, plus some memorable set pieces, any gaps in the narrative count as nothing compared to the exhilarating experience of enjoying a fictional high-wire ride master-minded by a novelist at the top of her form.